With the end of the semester, the veil of winter has finally lifted. The sun is shining, the grass has changed from brown to green, flowers are in full bloom and birds can be heard singing all over campus. We will be celebrating with our graduates and their families on June 12, and Dr. Raj Pannu, a long-time friend and contributor to our Faculty will be presented with an honorary degree at the afternoon convocation. I want to express my gratitude for the patience of staff, faculty and community members as I began my term as Dean. I have learned a great deal and know that my learning will continue in important ways in service to this Faculty. I cannot believe how quickly 11 months have flown by and am so proud of all that we have and continue to accomplish! Our undergraduate program review and renewal is well underway, as is our strategic planning process. We have received more than 70 pages of feedback that will help shape our vision, mission, values, and set our strategic priorities for the next five years. Many are engaging in truth and reconciliation education through participation in reading circles and other activities. The Faculty of Education, along with the Coutts Library, hosted an event on June 5 to unveil the beautiful and powerful painting "From Residential Schools to Reconciliation" by Treaty 6 Indigenous artist Kevin Pee-ace. We have enjoyed many individual and collective successes over the last 10 months from successful SSHRC and other grant applications, to research and teaching awards. 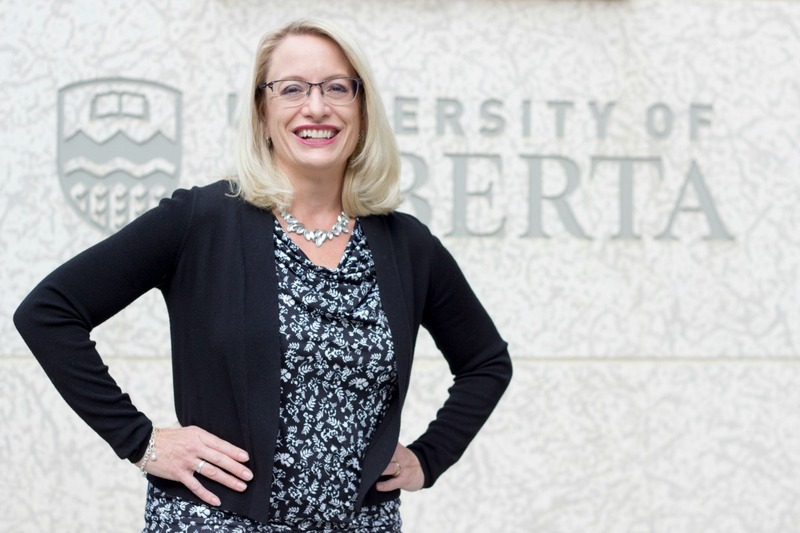 Dr. Anna Kirova and Dr. Mark Gierl were each selected to be Killam Professors, two of only seven across campus, and Dr. George Georgiou received a McCalla Professorship. Dr. Jason Harley’s work on using artificial intelligence to enable collaboration and improve learning outcomes, featured in the Spring 2018 issue of illuminate, is a fantastic example of innovative inquiry in the Faculty of Education. This issue of illuminate also features a profile of the Faculty’s very first Rhodes Scholar, Mackenzie Martin, whose focus on lifelong learning and community engagement from an early age are tremendously inspiring. You can also read about Andrew Morgan, recipient of this year’s Graduate Teaching Award, who made time in a busy career as a teacher mentor for Edmonton Public Schools to pursue his master’s degree in Elementary Education. Alumna Sarah Tiamiyu contributes a first-person account of her remarkable post-BEd career, which saw her travel the world and wind up teaching at the school in Washington DC where the children of many American politicians, including President Barack Obama’s daughters, have been enrolled. These stories are reflective of the many strengths of faculty, staff, and students and the collective will to "uplift the whole people" in the midst of many very real challenges, both within and outside the campus community. From the bottom of my heart, thanks to all for an incredible year, for the warm welcome and for all that you do, everyday, to make this Faculty and this University such a meaningful place to be.